**Click here to see photos of our 100th Anniversary banquet held on October 18, 2009 at Genetti's in Hazleton, PA. The photos were taken by parishioner Barbara Nagy. Books commemorating our parish's centennial can still be purchased. Anyone having interest should contact Marjorie Matash at 570-752-4885. 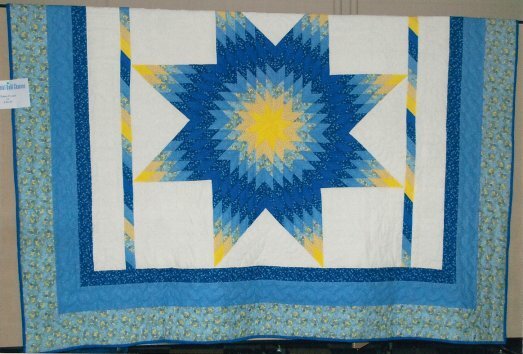 Above is a photo of the quilt that was raffled off at our Centennial celebration on Sunday, October 18, 2009. The lucky winner was JoAnn Fedorco. The quilt was made by parishioner Melody Masich.